Specially formulated to remove dirt, fouling, grease and oil quickly and easily. 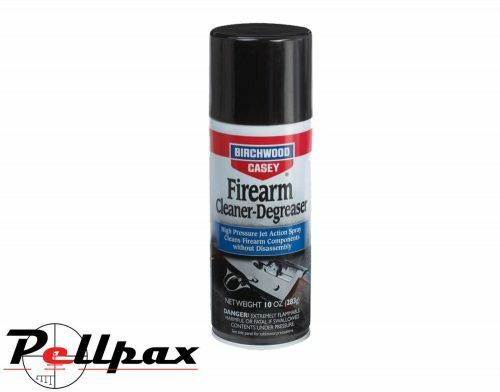 Firearm Cleaner-Degreaser Aerosol uses a high-pressure spray to clean metal surfaces fast, with a quick drying time that leaves no residue. It’s a safe, easy and effective way to clean your firearm thoroughly or as a preparatory cleaner for blueing or browning. Add this item to your basket & spend an extra £485.50 to apply for finance.